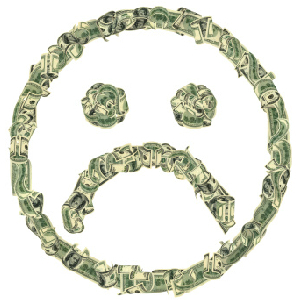 Money = Happieness? – more laws, more problems. Moral Rules, Not More Rule. While I admit being on a jetski is AWESOME!! But have you ever went out on a jetski by yourself? It’s only fun for so long. Also depending on where you live summers can be short, and a jetski is no good in the winter. Even worse I have seen many jetskis break while people are riding them causing just as much if not more stress and anger than happiness. So, while that is a hilarious bit by Mr. Tosh, it still doesn’t prove that money buys happiness. I would like to break down what money actually is or represents. Money represents goods and services. I’ll give you a very basic example of how money came about. A long time ago a farmer may have traded his goods with a trapper for some fur or meat. Because the farmer was so busy with his crops he had no time to hunt just as the trapper had no time to farm. It was a great barter system. Then market place came along where many people would come to barter for goods, but some people also offered services such as dentists or black smiths. So they would trade their services for goods in the market place. As mankind progressed the farmers realized sometimes they didn’t need services right away, but the black smiths still needed to eat. So they would make up chits or I.O.U’s thus allowing the black smiths to eat while the farmer could later redeem his chit for services as they were needed. Sounds all nice and dandy!! Well as the world expanded and empires were formed the market place got much bigger. So coins were formed out of precious metals, ie gold and silver, to represent these goods and services. Then when coins were not enough paper money was invented to represent the precious metals which in turn represented goods and services. Still with me? Today the paper money does not represent gold or silver. We are on a fiat currency system where money is created out of thin air. it is supposed to represent goods and services, however there is a growing imbalance in the system. (For this article I will not dive deeper into that issue, but if you find it interesting please research it and/or comment about it!) So if we break it down even further we can surmise that people who lust after and/or hoard money are actually lusting after and/or hoarding a made up currency which represents goods and services. Which in my opinion is not only terrible for the market place, but not healthy for the human animal. Now happiness. How important is happiness? Well it’s so important that the founding fathers guaranteed us the pursuit of happiness in the constitution right after Life and Liberty!! Happiness by itself is the most under rated requirement to modern living. Whenever people say: “Be Happy” or “Don’t Worry be Happy” they are often looked at as if they are Hippies. Happiness in today’s society is closely attached to material possessions, money or other people you may desire. This is largely due to the conditioning that we endure from the time we are born. This conditioning usually comes in the form of advertising. We are constantly bombarded with messages to buy and acquire “things.” Simply put happiness in this country is tied in with ownership of new cars, cell phones, iPads, clothing, shoes, etc. I often see the term “Retail Therapy” thrown around. Which when broken down literally means you are achieving happiness through acquiring objects. This is also seen heavily on TV. Generally speaking, no thought is ever seriously given to achieving happiness just for happiness sake. I admit that I am not immune to this system and I have a closet full of clothes and shoes as well as the newest gadgets to prove it. Yes, it does make me feel happy to buy new things. This happiness fades quickly, however, especially when the latest version of that iPhone or Car comes out on the market! When I actually take time to stop and think about it there is no comparison between this happiness and the happiness that I achieve through healthier avenues. A simple example of this is spending time with true friends and laughing. The kind of laugh that is uncontrollable and you just can’t help but to do. When you are basically crying and can’t breath. This costs no money and has many times the benefits of shopping. How come we are never taught this in school?? There should be a comedy class taught where people are encouraged to laugh and try to make others laugh. Think about how good you feel when you make others laugh by saying or doing something funny. That is true happiness which cannot be bought for any amount of money, precious metals, goods or services!! No money doesn’t buy happiness! A Kindle Fire HD bought for you as a gift does that!! For a little while anyway 🙂 Happiness comes from within yourself – if you are happy inside with that wonderful sense of inner peace that is a place untouchable by money or any other external source of happiness. It leaves you wide open to both give and receive happiness from those around you both online – as I have noticed particularly of late with so many wonderful and kind people appearing out of cyberspace just when i needed them 🙂 And happiness is contagious, we can pass it on and share it and like it! A bit like social networking really! Nothing like “reblogging” happiness and spreading it even further afield is there? lol 😉 Hoardes of metal money or even paper money or card money can’t do that! I totally agree!! Great point about the internet too. So many people are coming together with similar interests. There seems to be so much more sharing of ideas and knowledge lately. It’s very uplifting!